It’s been almost 40 years since we were first blown away by Honda’s mighty six-cylinder beast. 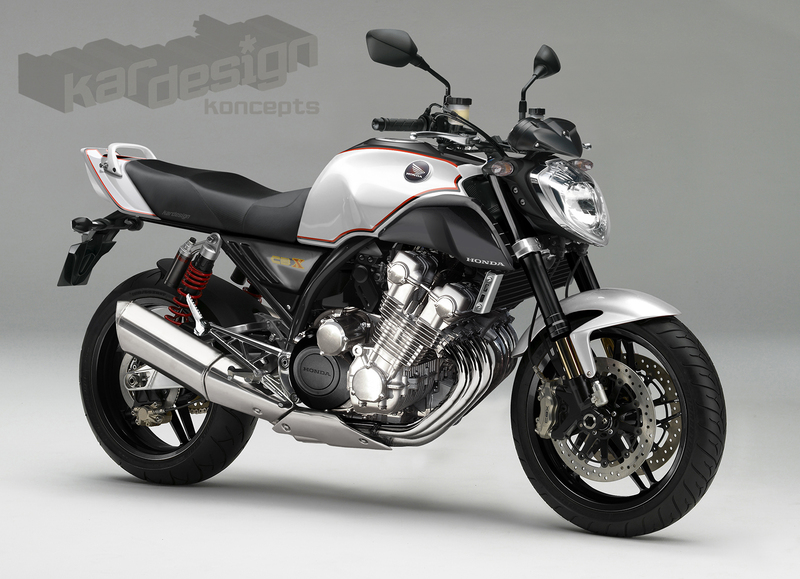 Meet the Kardesign CBX Roadster Koncept. 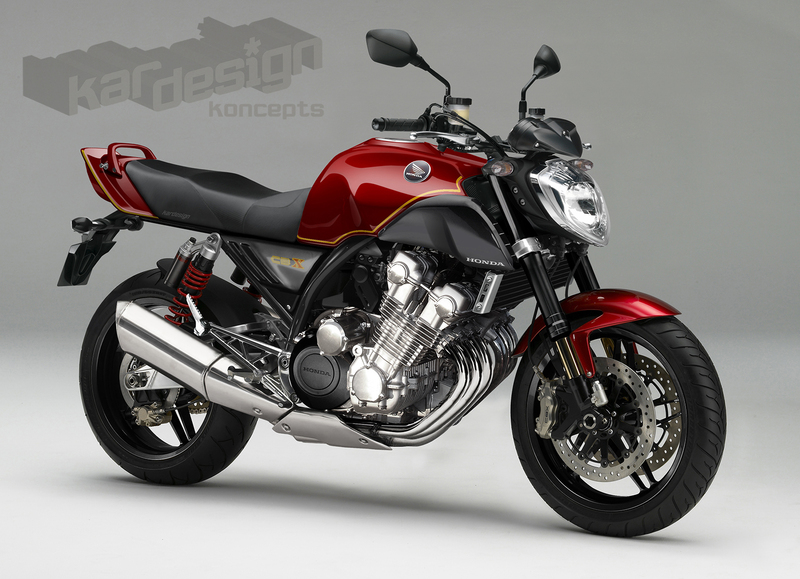 Any motorcycle with six pistons is going to feel and sound special, and while it wasn’t the first six-cylinder bike (the 1974 Benelli Sei took that honour) or the biggest of the era (that accolade belongs to the Kawasaki Z1300), it was the 1978 CBX1000 that people remember. Just looking at it, it’s not difficult to work out why with a stage presence that demands attention. That wide bank of six cylinders with six chrome downpipes exiting either side together with the skinny forks and rims, you could be forgiven for thinking it was just a huge engine on wheels. It handled well for such a heavyweight and was the first bike to use radial tyres and break the 100bhp threshold. While Honda went from drawing board to production line in record time thanks to their 6-cylinder racing history the CBX was never a massive seller due to high cost, complexity and something else that people spent their money on instead – Suzuki’s GS1000. 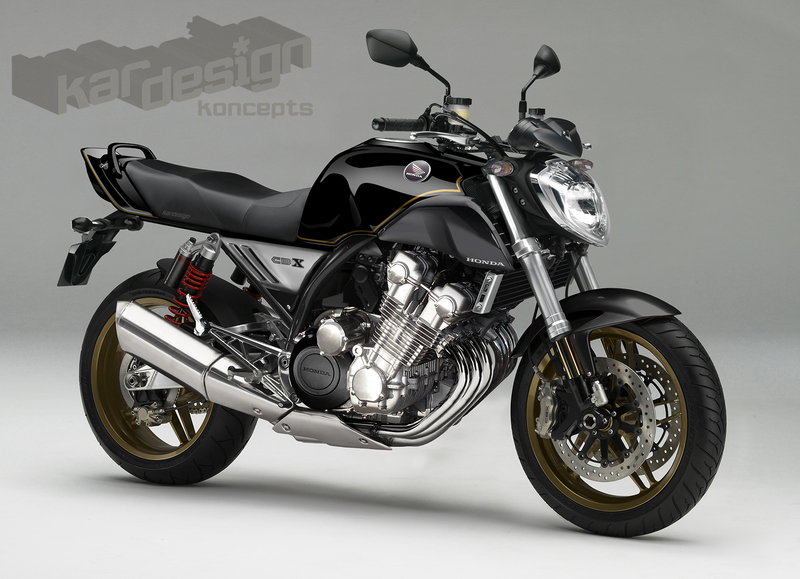 Honda re-positioned their CBX from sportsbike to sports tourer by adding a fairing, Pro-Link suspension and boosting mid-range power. The CBX lost that brutal sledgehammer edge and it’s the first generation that is the cult classic today. We had a sideways glance at not one, not two, but THREE versions that exist somewhere in another dimension… probably. First off, the CBX1000 Roadster. The original CBX featured 1047cc, 24 valves and double overhead cams, all cooled the old-fashioned way with alloy fins on the engine block. Of course being the 21st century we’d expect to see fat FI throttle bodies squirting the go juice instead of the bank of six 28mm Keihins previously used. The CBX is still thirsty though – you’d be lucky to hit 30mpg. With lighter internals and improved breathing we think a reliable 150bhp should be achievable. As before, we’d keep the motor as a stressed member – it’ll keep that magnificently monstrous engine on display too. Suspension is taken care of with a pair of heavy-duty piggy back Showa units and we’ve digitally ditched the stock 1979 35mm forks items for fully adjustable 43mm USD Showas. Brakes are radial calipers with big 320mm twin discs up front. While the old bike’s fuel tank held a respectable 20-litre capacity, ours is bigger externally to match it thanks to a chunk of the space underneath devoted to the airbox. On the Roadster two scoops flank it either side and feed cool air over the cylinder heads.